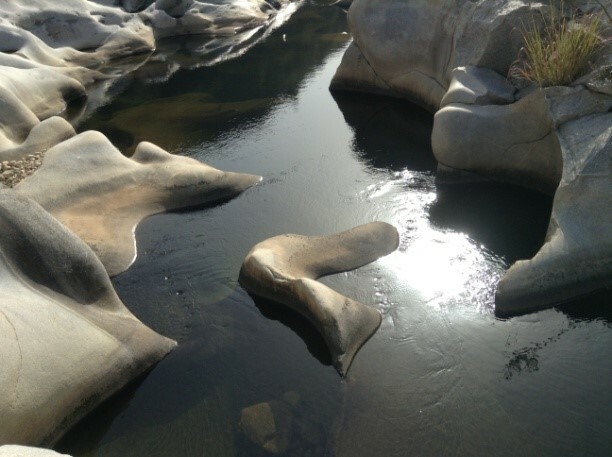 Pothole is a geographical feature commonly seen in the upper reaches of the river. 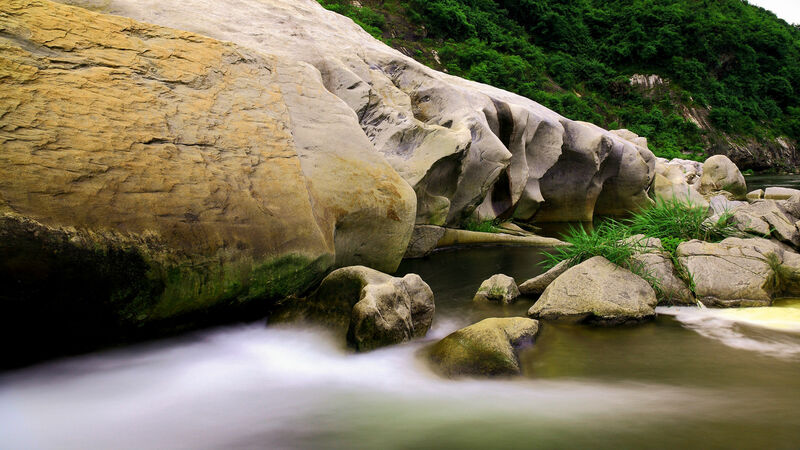 The rainfall increases the amount of river flow, which carries the stones in the upper reaches to the lower reaches. 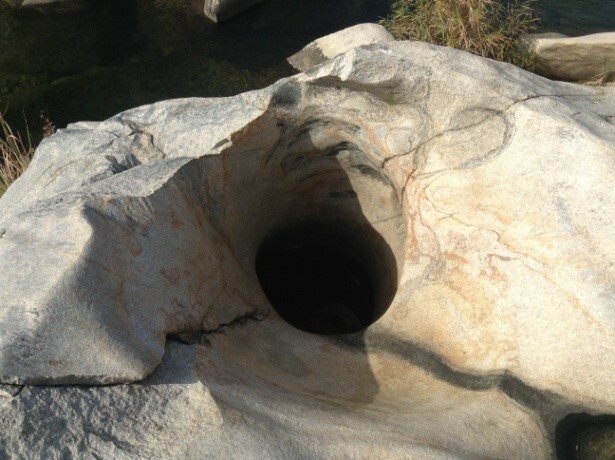 The small stones blocked by the recessions of the rocks on the river bed are spun by the flow and wear the rock, thus forming a circular cavity known as pothole.